A2B runs a family sponsorship program that intervines when families are in desperate need. Often, but not always, these are women on thier own, either widowed or having been abused and struggling to look after thier families. Marjeta was mistreated and abandoned by her husband. She was left to look after four children with no income or savings. She made some money collecting and selling scrap metal but not enough to even feed the family. She built up large debts buying food on credit. In the end seeing no way out she became desparate and considered taking her own life. Can you imagine your relief when a group of people promise to provide you with food enough for your whole family, help you with your debts and provide genuine love and spiritual support? Well, this is how A2B were able to help Marjeta. 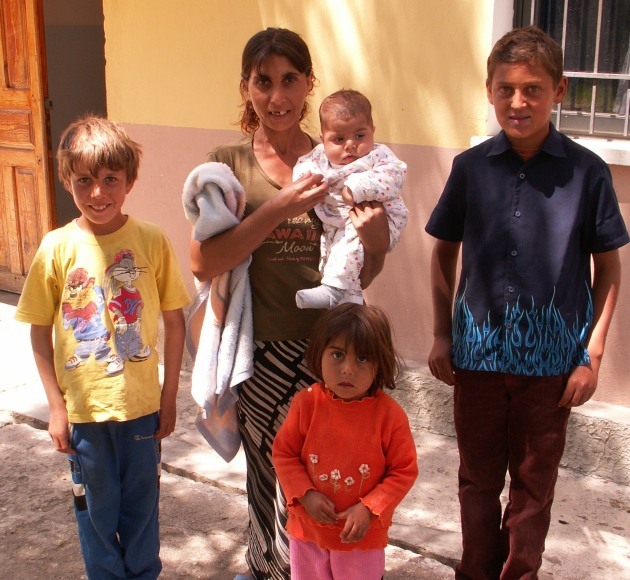 A2B continue to support her family and are exploring ways in which we can help Marjeta become self sufficent perhaps with a small business, securing her families long term future.